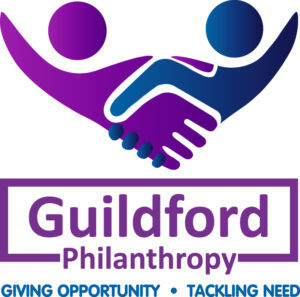 Guildford Philanthropy was established to turn ideas into successful social enterprises to help tackle community needs across the borough. By supporting social enterprise the Fund gives local people and community groups access to the resources they need to get their ventures off the ground to benefit them and their neighbourhoods. These projects can deliver training opportunities, new skills and work experience to residents who may have missed out. 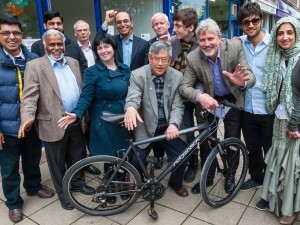 The Fund helps local people to build new businesses who in the long term will manage and develop them further. Guildford Philanthropy gives everyone the chance to support their local community. To encourage potential philanthropists, Guildford Borough Council will match fund every £1 of private donations with a further 50p. If you are a UK tax payer your donation may also be eligible for Gift Aid, helping your donation go even further! Guildford Philanthropy is a long-term fund that people can either donate to now, or leave a legacy to in the future. Donations can be made at any level, either as one-off donations or spread over a period of time. They can be donated as gifts of cash, legacies, shares, property or land. Don’t forget Gift Aid! Using Gift Aid means that for every pound you give, Guildford Philanthropy will receive an extra 25p from HM Revenue & Customs, helping your donation go further.